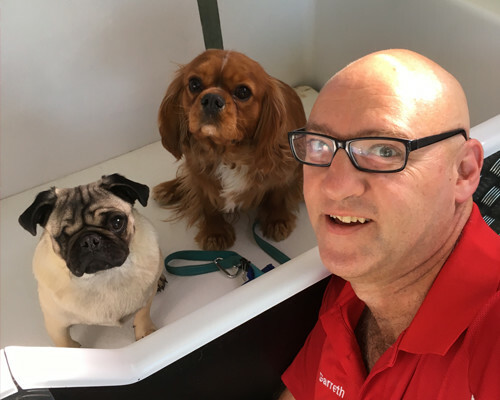 Hi, I’m Garreth and I’m located in Seaford and I love grooming and washing dogs. I am also qualified in animal first aid. As you can see from my photo, I also have two gorgeous little boys called Booker and Bailey. If you are in the Seaford area and your dog needs a bit of TLC, for a great service call Jim’s Dog Wash today on 131 546 or request a free quote to arrange for Garreth to get in touch with you.